Venture Capitalist firm Kleiner Perkins Caufield and Byers has announced it is to double its investment in its iFund to $200 million. Venture Capitalist firm Kleiner Perkins Caufield and Byers has announced it is to double its investment in its iFund to $200 million. 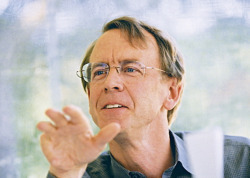 At a press conference, its head, John Doerr, described the iPad, whose first reviews hit the media last night, as “gorgeous” and “magic,” and claimed that it would kick off a “third renaissance in software.” (A rerenaissance, then.) “I’ve touched it. I’ve caressed it,” he said, refuting the most popular accusation that the device is nothing more than an outsized iPhone. “Welcome to the brave new post-PC era where a swoosh of fluidity replaces a mouse-bound GUI. A new, revolutionary platform is rare, and a prize for entrepreneurs. 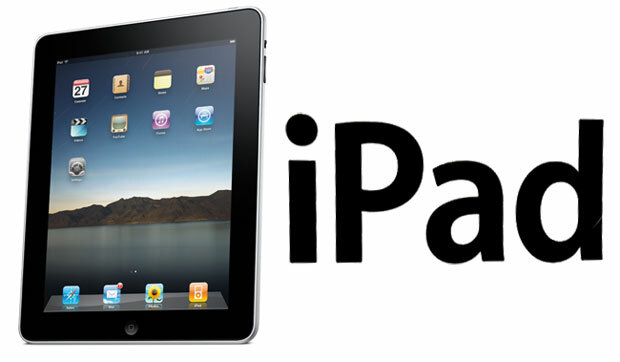 We expect all ventures to have an iPad strategy. We will fund new ventures for iPad, and the iFund will accelerate their success.” Anyone who gets to unwrap an iPad on Saturday will find no less than 11 Kleiner Perkins-funded apps on the device. Here’s a closer, yet more cosmetic, look at what all the fuss is about. My fellow countryman, polymath, technophile, and comedian, Stephen Fry, who had his first hands-on of the iPad at One, Infinite Loop, alongside Jonathan Ive and Jobs himself, got his own machine yesterday–and has treated the world to an unboxing video. More interesting is his piece in Time magazine, where he likens the experience to “one’s relationship with a person or an animal,” rather than a gadget. No one is more stoked by KPCB’s announcement yesterday than Apple, which helped start the fund back in 2008. In a press release put out by the firm, Steve Jobs described himself as “thrilled.” KPCB has already put its money into companies such as textPlus creator GOGII, Shazam, and game designer ngmoco, but even it has been taken aback by the success of the fund. “The success of the App Store and its impact on consumers has been 10 times faster and bigger than we expected,” said Matt Murphy, leader of the iFund. As for the rest of the world, which is probably feeling a bit left out–unless you’re Stephen Fry, of course– the rumored date for the device’s launch outside America is at the end of the month. Well, it’s almost 100% certain for Canada, where Apple employees have been told that time off is verboten the weekend of April 24. One London-based Apple employee, in an off-the-record chat, hinted to me that it would be April, but refused to be more specific. Which made me think of that.